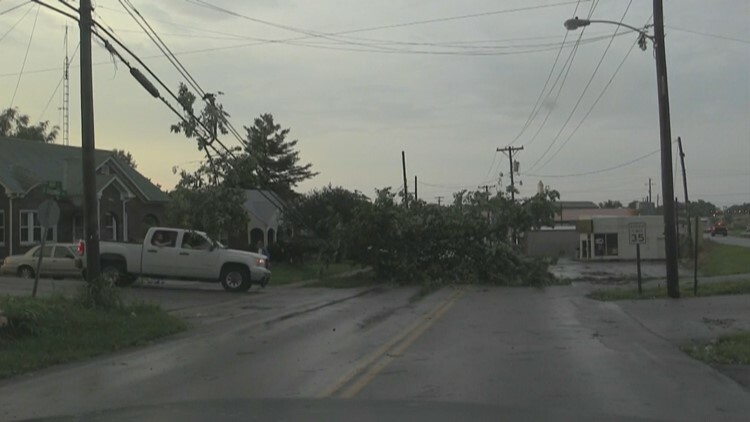 On the heels of the hottest temperatures in Kentucky in nearly six years, severe thunderstorms erupted across the state Thursday evening, causing damage in some areas. 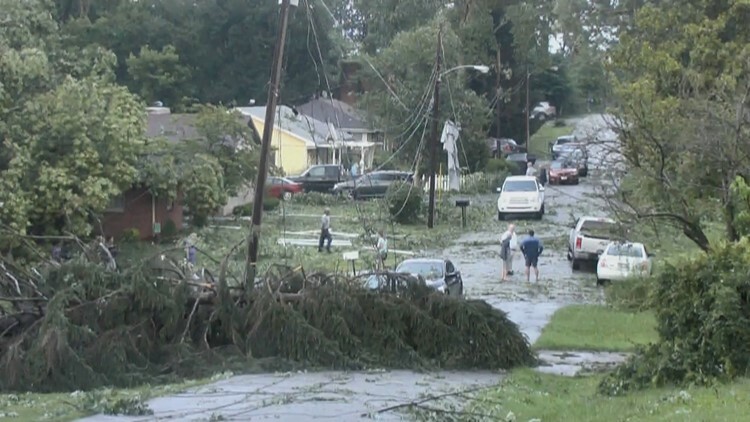 Louisville, Ky. — On the heels of the hottest temperatures in Kentucky in nearly six years, severe thunderstorms erupted across the state Thursday evening, causing extensive damage in localized instances. 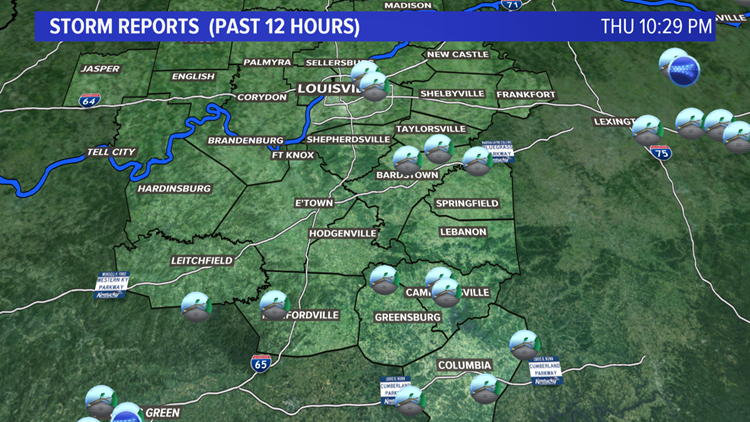 Places like Campbellsville and rural Adair County appear to have taken the brunt of the damage, with scattered reports of mainly small trees down elsewhere. 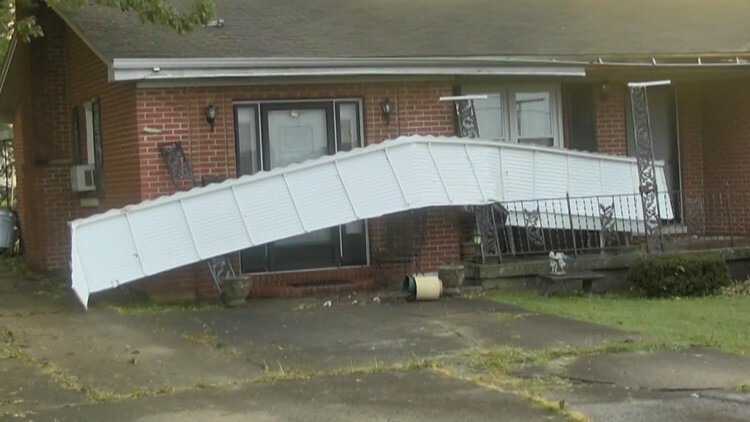 These photos show the extent of some of the damage in Campbellsville. The storm knocked down trees and power-lines and even peeled the roof off of some houses. Most of this damage is around or near Campbellsville high school. One tree was ripped out of the ground and actually fell on top of a police car. StormTeam meteorologists, along with the National Weather Service in Louisville, suspect that the excessive heat and humidity made conditions ripe for phenomena called "wet microbursts." Take a look at this massive tree that was knocked over by the microburst in Campbellsville. Courtesy Donnie Dowell. According to the American Meteorological Society, microbursts are areas of strong, often damaging, winds produced by one or more downdrafts from storm clouds that affect relatively isolated, small areas. Many times, it is believed that the damage may have occurred from a tornado, but a closer look will typically show damage / debris strewn in a straight-line direction. Additional showers and storms are forecast Friday as a cold front passes through the state. Damage photos courtesy StormChase 11/John Humphress.